PROFIBUS (PROCESS FIELD BUS) which is anchored in the international standards IEC 61158 and IEC 61784 is an open, digital communication system with a wide range of applications, particularly in the fields of factory and process automation. It is suitable for both fast, time-critical applications and complex communication tasks. Various devices are available that can communicate via Profibus DP to allow for the cost effective I/O expansion of a Profibus DP network and interface to other protocols such as HART, Modbus or even simple Serial devices. BACnet (Building Automation and Control Networking) protocol has been designed specifically to meet the communication needs of building automation and control systems for applications such as heating, ventilating, air-conditioning control…etc. Gateways are available to convert between the BACnet IP protocol and either Modbus RTU or Modbus TCP. There are now a wide range of sensors, meters and I/O products that can communicate using modbus, so these gateways provide an effective method of expanding a BACnet system. Modbus Data Concentrator (1x RS232, 1x RS485 port). Access ModbusRTU slaves from Mulitple ModbusTCP Masters. Increases efficiency and read-times. 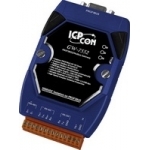 Modbus Data Concentrator (1x RS232, 4x RS485 port). Access ModbusRTU slaves from Mulitple ModbusTCP Masters. Increases efficiency and read-times. Modbus Data Concentrator (4x RS232, 1x RS485 port). Access ModbusRTU slaves from Mulitple ModbusTCP Masters. Increases efficiency and read-times. PROFIBUS DP to Modbus RTU Gateway. Allows PROFIBUS master devices to access Modbus RTU devices. PROFIBUS DP to Modbus TCP Gateway. Allows PROFIBUS master devices to access Modbus TCP devices. tiny Modbus TCP to Modbus RTU / ASCII gateway with a single 5-wire RS232 port.